Policy change their approach in phone hacking case ! The police have shifted their approach to a phone hacking incidence which could affect Andy Coulson. Coulson is the media adviser for the Prime Minister and was employed as an editor for the News of the World. The police have taken steps to stop the source of information which could implicate high ranking journalists working at the News of the World. Amendments have been made to a policy which may have consequences for Andy Coulson. The police have announced that they will not continue to supply public figures with information that they have about phone hacking. The decision was made in connection with data, computer records and tapes that officials confiscated from Glenn Mulcaire. Mulcaire is a private detective. It is suspected that the data implicates senior journalists in a phone hacking incidence. It is alleged that the journalists gave orders to Mulclaire to investigate well known people such as politicians and sports stars. Police have recently said that they did not complete the investigation of the data during their initial investigation. The police have said that they will not continue their investigation into the data. When judges have ruled that the information should be accessible for court cases part of the data was blacked out making it impossible to identify the names of the journalists who gave Mulclaire his orders. However until the recent change in policy the police offered a summary to public figures containing the information that mentioned their names. 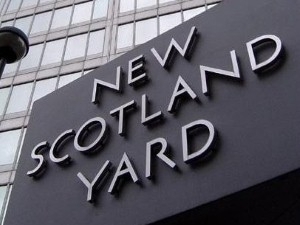 Scotland Yard said that they have been approached by 194 people who requested summaries of the data that was connected to their activities.